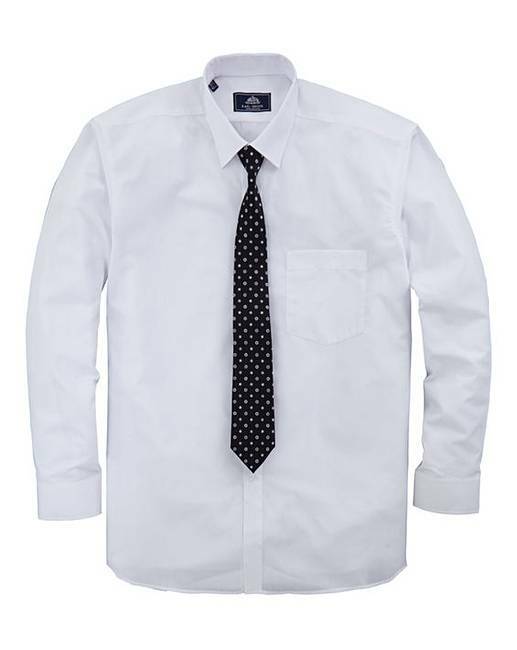 Rael Brook White L/S Shirt And Tie Set R is rated 4.5 out of 5 by 37. 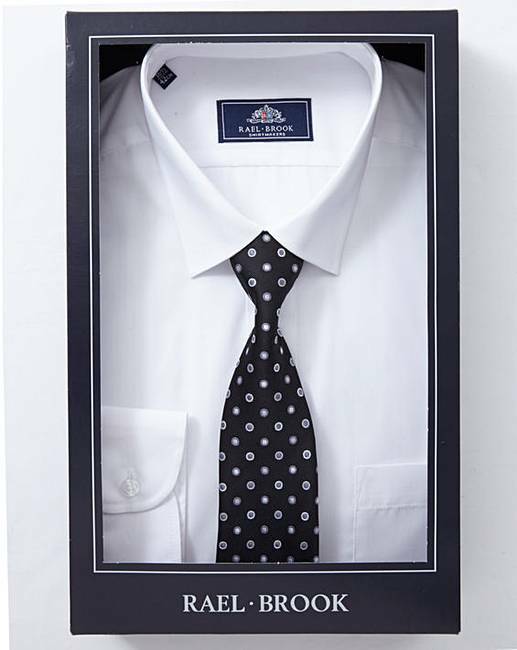 Boxed shirt and tie set from Rael Brook. Long sleeves with button-front fastening and a contrast necktie. Ties may vary. Rated 3 out of 5 by Gaz from These shirts are a really good shirt. These are really good shirts and would buy them again and ask other people to buy them also. Rated 5 out of 5 by Mark Spitz from Quality Top quality at a reasonable price. Lovely comfortable material. Rated 5 out of 5 by Gaz from Great Shirt These shirts are a fantastic fit and have a high quality feel to them. They are also cuff link friendly. I have purchased six of these shirts and they do not disappoint. Highly recommended. Rated 5 out of 5 by Craig44 from Great features I bought this almost a month ago, and am very pleased with it. Rated 5 out of 5 by Mike69 from Perfect fit Excellent quality had Rael Brook shirts for over 50 years good value for money. Rated 2 out of 5 by Canadaman from Rael Brook white shirt I bought this shirt set recently and returned it unopened because the chest size on the packaging was smaller than PM's size guide. Also it took a long time to arrive. Rated 5 out of 5 by graham from good fitting shirt the only problem i had with this order was instead of the black tie i got a stripey pink tie?? ?